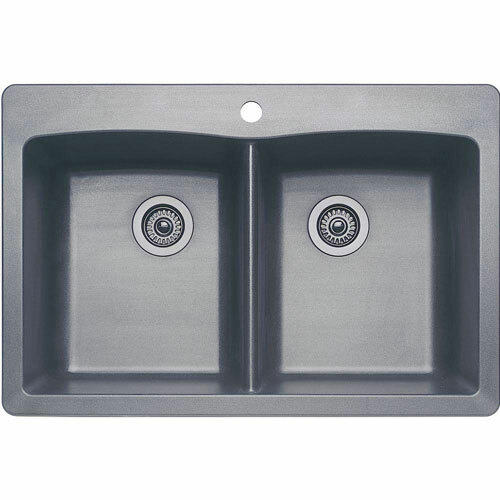 Use the Blanco Diamond Dual-Deck Undercounter Composite 21-1/4-inch x 32-1/4-inch Double Bowl Kitchen Sink in Metallic Gray to enhance your kitchen decor. Constructed of composite material, this sink is scratch resistant and withstands temperatures up to 536 degrees Fahrenheit for durability. The undercounter/drop-in sink design helps provide easy maintenance. Item Boxed Weight: 48.4 lbs.